Lydia Syson’s first book, Doctor of Love (2008) was a biography of the eighteenth-century fertility guru, James Graham, who was known as the Electric Doctor. 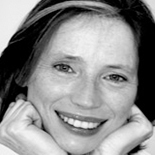 She has since written three critically acclaimed historical novels for young adults, published by Hot Key Books. 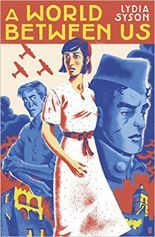 A World Between Us (2012), set in the Spanish Civil War, was the Highly Commended title in the 2013 Branford Boase first novel award and was longlisted for the Guardian Children’s Fiction Prize. 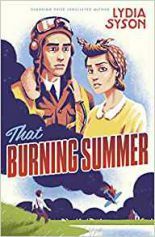 That Burning Summer (2013) tells the story of a Polish pilot who bails out over Romney Marsh during the Battle of Britain. 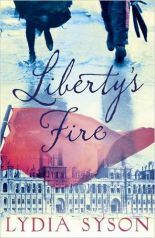 Carnegie-nominated, Liberty’s Fire (2015) brings the 1871 Paris Commune vividly to life. All three novels were in some way inspired by the radical backgrounds of earlier generations of her family. She has borrowed from her New Zealand-born husband’s family history for her adult fiction debut: Mr Peacock’s Possessions, which is set on a tiny island in the Pacific, and published by BonnierZaffre in May 2018.